While all women might be concerned about their vaginal health, not many of them will be knowing importance of using a dedicated product formulated exclusively for making your lady-part smell better and remain problem-free. I've used a number of women hygiene products in past years and found those effective too. 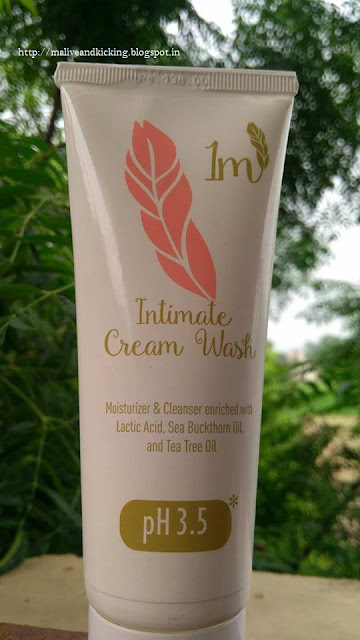 Currently, I'm using 1m Intimate Cream Wash 3.5 manufactured by Ozone Ayurvedics and have got all good things to say about it just after a use of 8-10 days (usually I test and try any product for 20+ days to make up my opinion). 1m intimate Cream Wash 3.5 is specially formulated to protect feminine intimate (vulvo-vaginal) area from dryness, itching, irritation, soreness, burning sensation and unpleasant odour during reproductive years in the age of 15 to 44 years. The product helps in maintaining a natural pH level of 3.5 in the intimate area and restores healthy intimate micro-flora consisting of good bacteria. 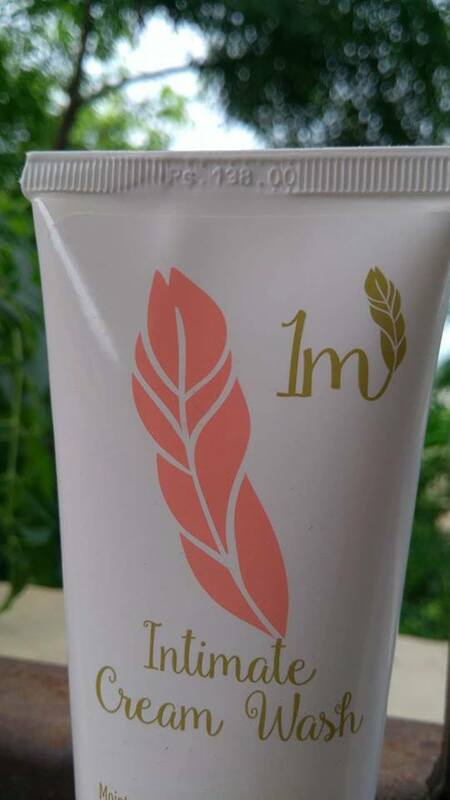 1m Intimate Cream Wash is packed in a soft tube packaging. The 100gm tube packaging is light-weight, has tightly-enclosed flip cap and leak-proof material; hence can easily stick in your travel-kit. 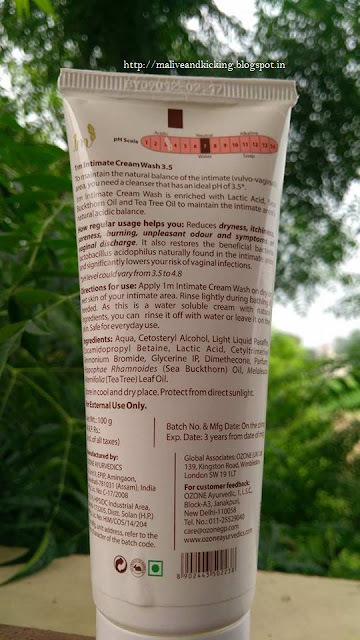 Every important information about ingredients, price, usage directions is neatly printed on tube alongwith a pH scale indicating the product applicability. 1m Intimate Wash is a thick, velvet smooth cream bearing pleasant fragrance that helps to maintain the intimate area's natural acidic balance. What made me love this product is that unlike most intimate washes, it is not a soap-based cream. You may apply it on your dry or wet intimate skin, which means even if you forget to carry it with you while bathing, it can be applied afterwards. Wondering if a vaginal wash can be left on skin without rinsing??? Well! the answer is Yes! 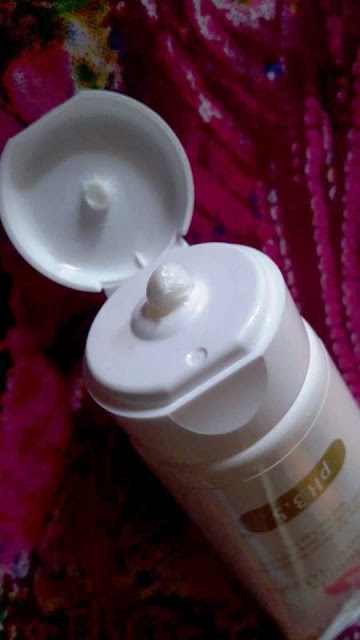 this is a water soluble cream formulated with natural ingredients like Lactic Acid, Sea Buckthorn Oil and Tea Tree Oil and is safe to remain on skin. Honestly, I was skeptical to use it as leave-in product, but it didn't disappoint me. Using this product on daily basis effectively catches odor-causing microorganisms and prevents foul-smelling odor. The women of any age group may use it, especially to perfectly balance out vaginal pH of 3.5 - 4.5 that generally is disturbed during menstruation. The females who complaint of itching, swelling and foul-smelling discharge may totally rely on this product since it is not harsh like usual soaps or cleansers. 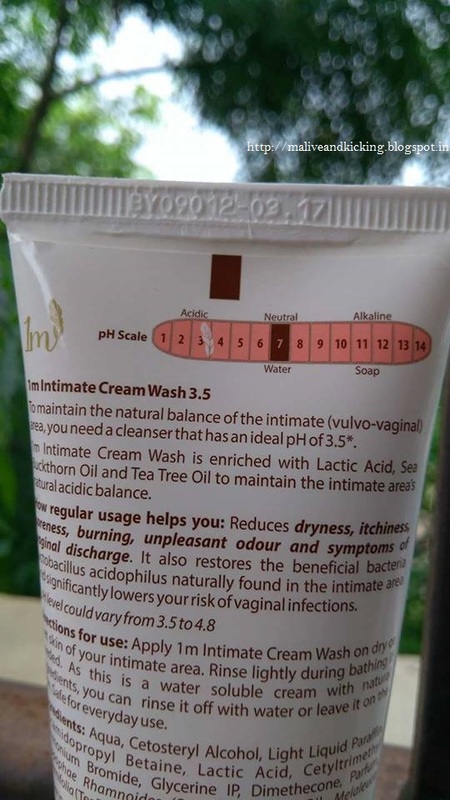 I'm glad that I found an expert, revolutionary and budget-friendly (costs only Rs 138 and easily available for online purchase at Amazon, Flipkart etc) hygiene wash that leaves me feeling fresh all day long and restores perfect health of women's intimate area.